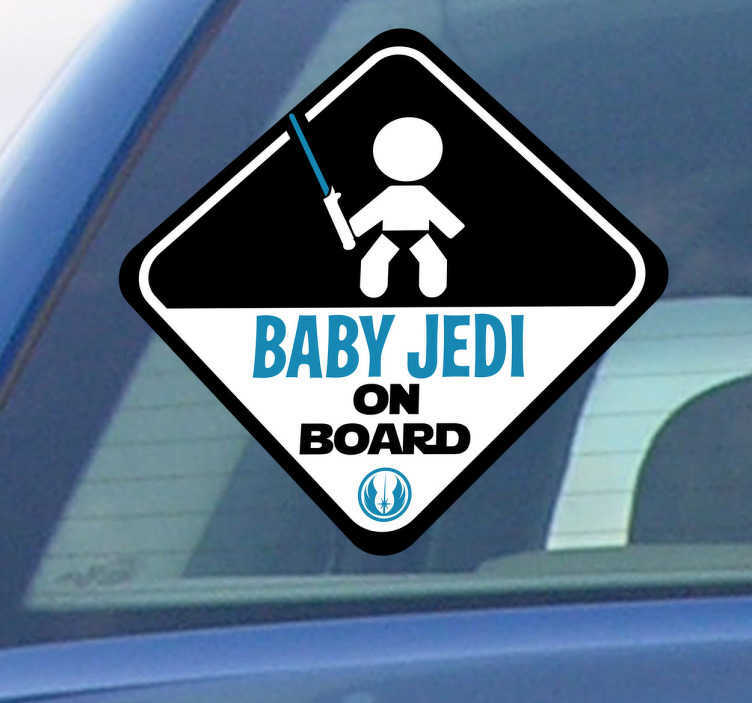 Car sticker with the phrase "Baby Jedi on Board", from our collection of baby on board stickers. This awesome vehicle decal clearly shows to the driver behind you that you are carrying a kid in your car while also showing your love of the Star Wars movies. This funny car sticker is available in a wide range of sizes and is guaranteed to leave no residue upon removal.